Home Blog Bloggers Jennifer Baer, A.R.N.P. Jennifer is an Advanced Registered Nurse Practitioner with a background in adult health. Jennifer graduated from Nursing School with a Bachelor of Science in Nursing at University of Louisiana at Lafayette, in 1987, and she then attended Sage College in New York, to gain her Masters degree in Nursing in 2006. 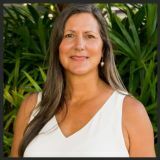 Jennifer has considerable experience using alternative treatment protocols for conditions such as cancer, Lyme disease, autoimmune disorders and chronic illness. She is also trained in chelation/nutritional IV support as well as ozone therapy, Prolozone, and Nutritional Response Testing.